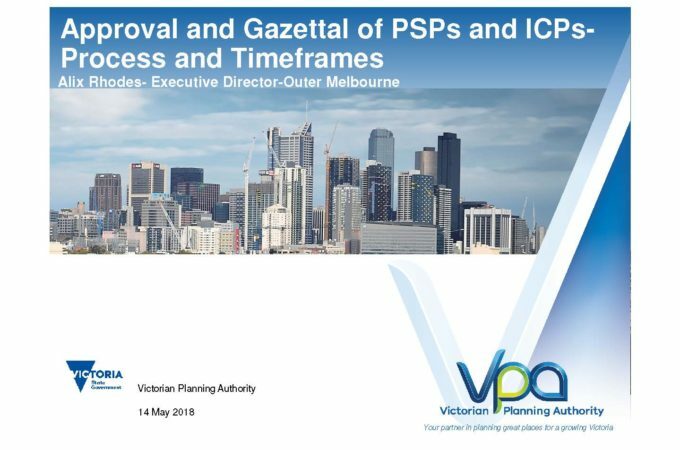 The Victorian Planning Authority (VPA) and Department of Environment, Land, Water and Planning (DELWP) hosted an industry forum on Monday 14 May to discuss recent changes to the Public Land Act 2018, including implementation of Infrastructure Contribution Plans (ICPs). You can view the presentation by Alix Rhodes, Executive Director Outer Melbourne at the VPA here. You can view the presentation by Andrew Grear, Executive Director Planning, Building & Heritage at DELWP here.